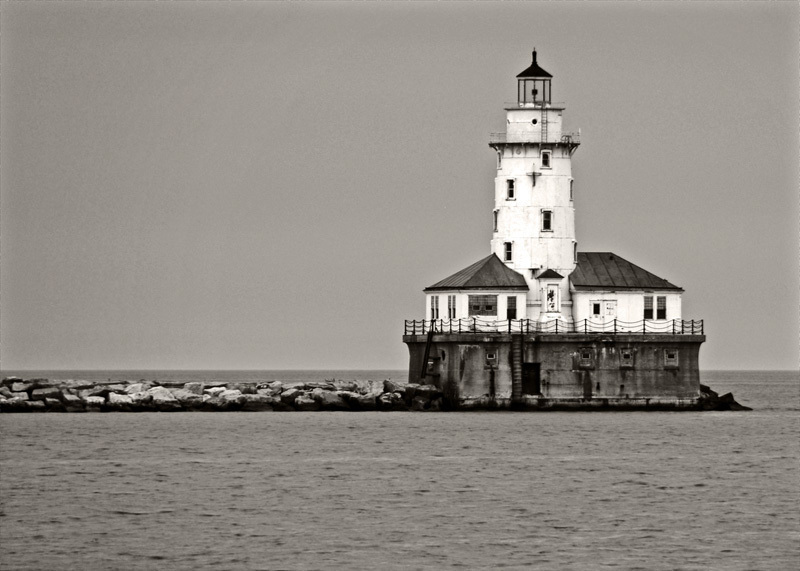 The Chicago Harbor Lighthouse is the only surviving lighthouse in Chicago and one of only two remaining examples in Illinois. 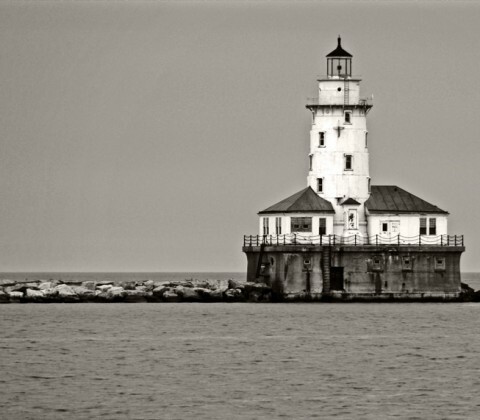 Built in 1893, the Lighthouse symbolically marks the Chicago Harbor. During the 1917 renovation of the breakwater, the lighthouse was moved to its present location, and its attached fog-signal room and boathouse were constructed. It is a familiar sight along Chicago’s shoreline just east of Navy Pier, where the Lighthouse continues to mark the harbor entrance.